Roving colors can be combined for a multiple pound order and would receive an Artisan’s discount of $2/lb off for 2 to 3 plus pounds and $4 per pound off for orders of 4 lbs or more. Other colors available and will be added as inventory is better documented. 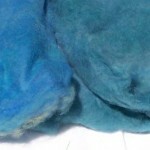 Blue BFL Cross Batts_ Teal sold! 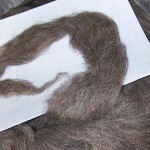 Lovely tan roving processed by Tapetas de Lana in New Mexico. Nice, clean and ready to spin. 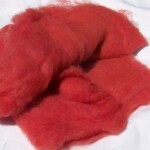 Its good for felting or spinning. 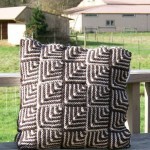 Up to 8.5 pounds available and can be combined with other colors for Artisan's discount for multiple pounds. Beautiful rich chocolate and grey fibers in this jaspered rio Churro roving. 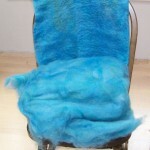 Up to 15 pounds available to be used in your felting or fiber arts project. 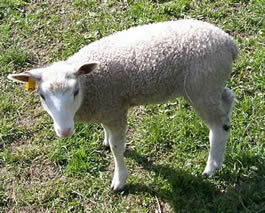 Also processed at the Tapetas de Lana mill in New Mexico.